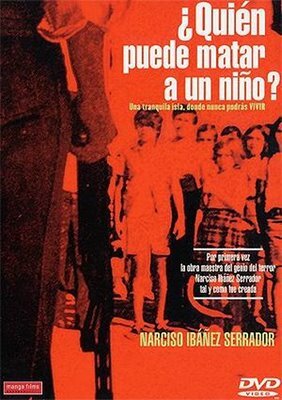 original title: ¿QUIEN PUEDE MATAR A UN NINO?US title: ISLAND OF THE DAMNEDUK title: WOULD YOU KILL A CHILD? 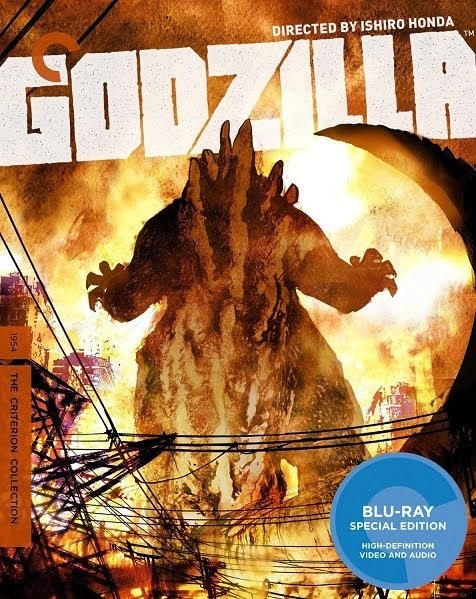 This DVD release was my first chance to see the film in English. 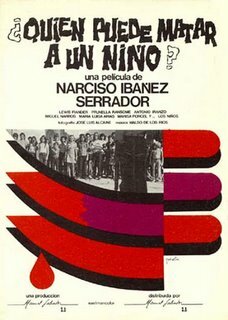 I'd recently watched a Spanish-only version just to be able to see it at all, and became very interested in this unique and powerful film. I remembered the poster campaign in the UK in 1976 - a shocking photo of a man with a rifle, facing a gang of children - the title in this country was Would You Kill a Child? As you can see, it was of course given a certificate 'X'. I didn't see the film at the time, but thought it was going to be realistic and shocking - it looked as seriously scary as the poster for The Texas Chainsaw Massacre. The story cleverly mixes the premise of Hitchcock's The Birds and John Wyndham's book The Midwich Cuckoos (more birds!) adapted as the movies Village of the Damned (in 1960 and 1995). What if children turned around and rebelled violently against adults? 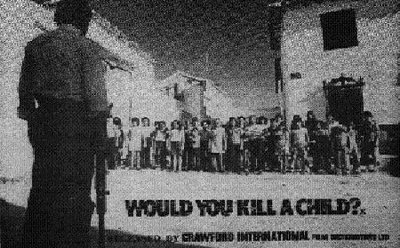 The original version of the film begins with a harrowing montage of war crimes, with footage focussing on the suffering of children. This over-the-top barrage of images sets up the possible motive for why the children take revenge, but it plays as furious anti-war propaganda. It's very rare for real-life horrors to appear in a horror film. Boris Karloff used to make the distinction, the films he usually appeared in use terror, horror is what happens in real life. The newsreels in the opening titles (and a news item on a tv early in the film, showing a Thai priest setting himself on fire) is the majority of the footage that was removed from the English-language version. 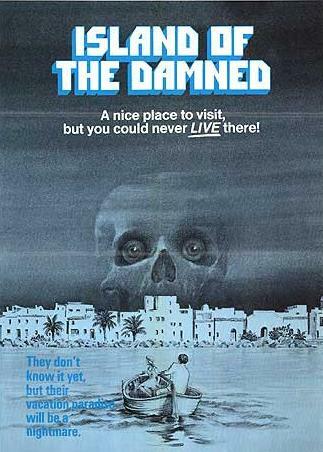 In the US it was called Island of the Damned (a cheeky reference to earlier Village of the Damned and the 1963 sequel Children of the Damned). The plot is simple and starts gently enough. A young English couple, Tom and Evelyn, want a quiet holiday and sail to a remote Spanish island which Tom had been to before. But when they arrive, they can't find anyone around. The first person Yvonne sees is a young girl in a cafe, meanwhile Tom fails to discover the corpse of an adult left lying in a shop. We know they're in trouble. But it's not until later that they see another young girl kill an old man. Tom witnesses a gang of children playing with the corpse. I first thought that Who Can Kill a Child? might be about a serial killer of children, but it's quite the opposite. It's a film that asks if you would defend yourself from young murderers. From the UK title I thought it would be an exploitation film with the accent on violence, but it's more sophisticated than that. The majority of the threat is implied, with a growing atmosphere of dread. Shot on location under the fierce sunlight of the Spanish islands in the Mediterranean, it looks totally realistic. The children look like local non-professional recruits, but are carefully directed to appear menacing. They don't say much, but their eyes are full of hate and mistrust. The two English actors carry the film and portray their ordeal very convincingly. 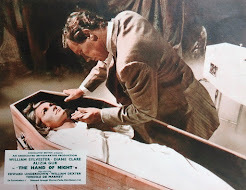 Tom is played by Lewis Fiander, who played the salacious neighbour in Dr Jekyll and Sister Hyde (he was very interested in Sister Hyde, but not her 'brother'). The late Prunella Ransome succeeds in a tough role, convincing us that she's very pregnant and very hot. 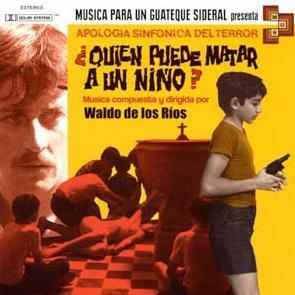 The Spanish DVD release is uncut, but in Spanish only, which is ironic because the bulk of the cast's dialogue was spoken in English. This first uncut DVD with English on it (pictured at top) has tried to present the film both ways. You can watch it with the original Spanish soundtrack, with English subtitles. Or listen to a mixture of English and Spanish audio - unfortunately, the English version was much shorter, so there isn't a full-length soundtrack available. The resulting patchwork has some loose synch, many noticeable audio edits and some repeated sections of audio, of varying quality and volume. It's good though to hear the leading actors voices, and see their lips finally synch with their dialogue. If you must, see the cut US version, usually called Island of the Damned, it was available on VHS, but in a fuzzy full-frame transfer. It's a good option if you want to miss the truly horrifying newsreel footage though, or you're easily upset by close ups of wartime horrors. 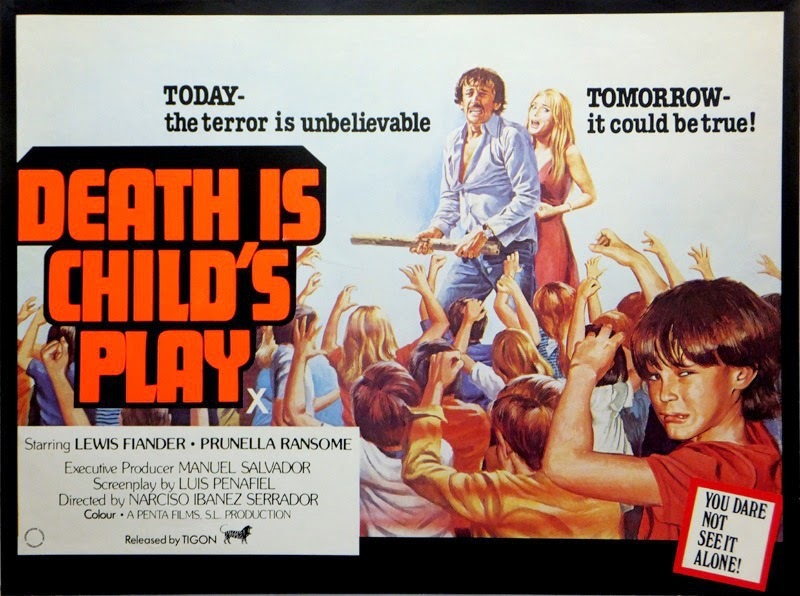 As a reminder of how the film has been sold, there's another awful poster here at the IMP poster site, that cheapens the film immeasurably, under the simple title Trapped - cheekily giving the children Village of the Damned glowing eyes. Musically, apart from the cheesy happy holiday backing tracks early in the film, an impressively grand and melancholy theme dominates the prologue. As the horror of the situation grows, a more queasy, unsettling, atonal soundtrack takes over. Incredibly the soundtrack is now on CD, available here on the highly recommended Movie Grooves site. 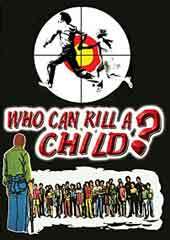 Who Can Kill A Child? is obviously capturing new interest at the moment - it's about time it was rediscovered. The story on which it was based is even being remade. According to Twitch Film, this time it'll be set in Mexico and called In The Playground. 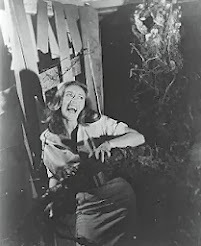 My subconscious 'monster from the Id' seems to be struggling to make my blogging more coherent. Without realising it, I had watched another film by the same director only last week. 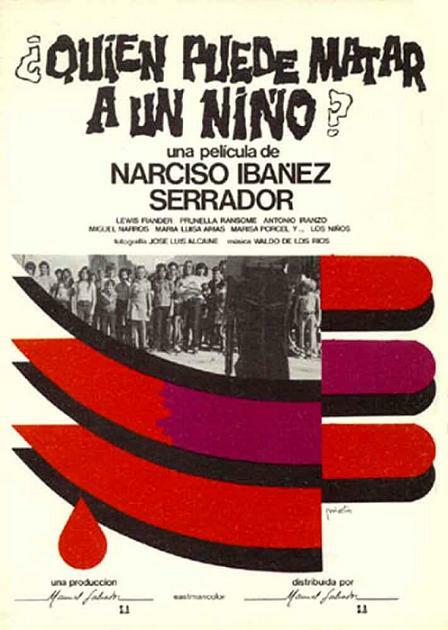 Serrador's The House That Screamed (La Residencia, 1969) is also a carefully made and interesting horror film that was ahead of its time. Link to more about La Residencia here. 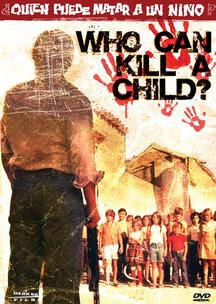 UPDATE: The new region 1 Dark Sky DVD release of WHO CAN KILL A CHILD? is due out June 16th 2007, and may have both edits of the film on it. Cover art is pictured at the very top.